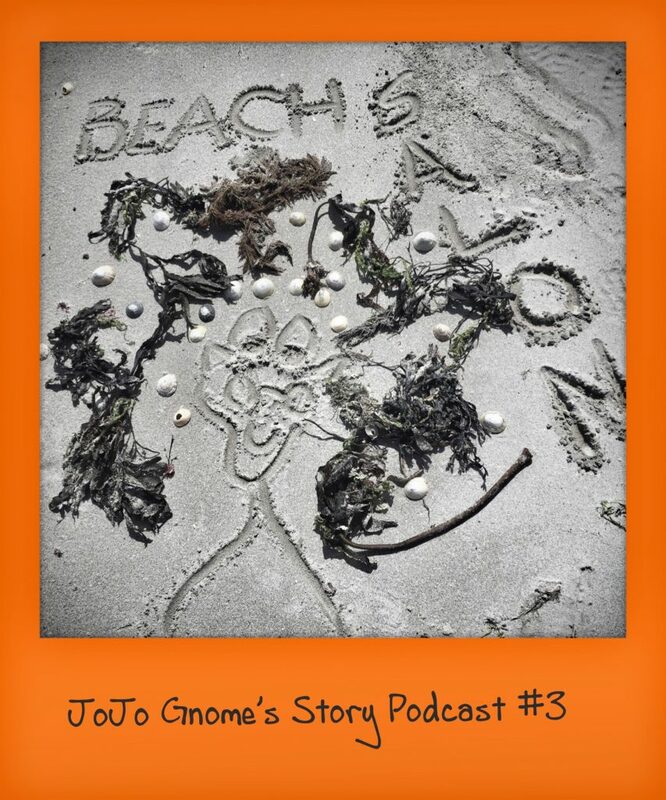 Welcome to podcast number 3 which is another story about JoJo Gnome’s holidays this year. In this story “JoJo Gnome and the Beach Hair Salon” JoJo’s sand drawings have some quite unexpected results. There is also a story starter for you to finish which is all about getting a new look. get in touch and let me know what ‘new style’ you think JoJo should have on jojognome@gmail.com. Email me your pictures and let me see what fabulous styles you come up with. You can subscribe to the podcast using the button’s on the player above or in iTunes just search for JoJo Gnome’s Story Podcast. You can buy JoJo Gnome story books here. Jo Hall runs literacy story workshops for schools and nurseries in Scotland. Get in touch to find out more. A Twitter Tales workshop is available for schools further away. A whole class can create a story over a week of tweets with Jo Hall. Check out these wee films of what JoJo thought Grandpa Gnome and Aunty Molly might look like after a visit to the beach hair salon. Download the A4 size versions of these Hair Salon Customers and create your own fabulous hair styles. Get an old metal baking tray. Get a pencil, stick or use your finger to draw a face and create some fabulous hair styles. Use some pebbles, shells , leaves or twigs to make it really fancy. You can do this lots of times …take some pictures of your ‘clients’. Have a look at some interesting pins which tie in with podcast #3 ‘JoJo Gnome’s Beach Hair Salon’.